As the year draws to a close, and we begin to think forward to our New Year’s resolutions, it’s time to look back and take stock of 2014 in the world of mobile commerce and finance. Did it pan out as expected, or was there a ball from left-field that caught the industry off guard? Here’s Mondato Insight’s take on the past 12 months. Firstly, we are going to mark our own card. Last January we made our own predictions for 2014, and in the spirit of open discussion that Mondato Insight seeks to foster, we’ll look at what we got right, and see what surprised us. The dexterous nature of the English language, and the British tendency to refer to their cellphone as a mobile somewhat muddies the waters when it comes to what we mean by “mobile”. However, as we predicted at the start of the year, the rise of cheap smartphones and proliferation of tablet computers means that, as we suggested back in January, “mobile” is increasingly becoming redundant, in the sense that the digitization of “everything that can be digitized” also now means that everything that can be digitized is now mobile. Multi-platform and instant access are crucial. This trend appears unstoppable. At the start of January 2014 it appeared that the perennial promise of next year being the Year of NFC in payments would probably not make it to 2015, as the rise of competing technologies, most notably HCE, seemed poised to push NFC off the stage. NFC’s dependence on investment in hardware seemed destined to fall foul of the rise of the Cloud. We did note, however, that NFC retained security advantages over HCE when ‘card present’ transactions are being performed. But who possibly could have the muscle to persuade an entire payments ecosystem to come together invest in this technology? This one we got wrong (see point 6). This was a topic last week’s Mondato Insight touched upon in our discussion on holiday shopping trends, and the jury is still out on how successfully retailers are capitalizing on the opportunities that “mobile” (see point 1) presents to them to create a truly omni-channel shopping experience for the consumer. We’ll postpone judgment on this until the end of 2015. This is clearly a trend, epitomized by Uber, that is only going to accelerate rather than slow down. The “magic”, as an Uber exec described their frictionless payment system at Mondato Summit Africa, is clearly something that consumers enjoy, and is one that many are attempting to replicate. And while Square Wallet may have failed, this was more to do with a lack of value for the merchant rather than on the consumer side. The model is being replicated in a number of different products, such as Square Order, Way2Ride in New York City taxicabs, TabbedOut for bars and restaurants (and also now Open Table). Where these products differentiate themselves is that they offer an enhanced user experience, though admittedly it is one that involves prior touch-points with the consumer, which make the ultimate payment “invisible”. The greatest challenge, however, remains consumer adoption, and as with Square’s Wallet, without sufficient incentive for merchants, like many other good ideas, they may not reach scale. This appears to be happening, as admitted by a Master Agent for Western Union in Africa at Mondato Summit Africa in June. Mobile money, airtime remittances, digital remittances and the rise of cryptocurrencies such as Bitcoin, are all offering cheaper, and often faster, rails upon which to remit money domestically and internationally. The big MTOs have recognized the threat to their business from digital and mobile, and are forming partnerships to get in on the action. There is only one trend in remittance costs, and that is down. The security breaches at Target and Home Depot were cited by Apple’s CEO Tim Cook as among the reasons for coming to the conclusion that payments, as currently carried out, are “broken”. That may be overstating the case somewhat, but the fact that security remained one of the hot topics of conversation at CARTES 2014 demonstrates that this is a pressing issue that remains to be solved. The migration to EMV in the U.S. will help in that market, though research from elsewhere shows that this simply pushes a lot of credit card fraud online. The launch of Apple Pay (see point 2) has pushed tokenization to the forefront of secure ‘card present’ payment methods. As we previously noted, Apple Pay is unlikely to succeed (as with point 4) unless merchants have an incentive to push it. Enhanced security might just be what swings it for them, and certainly gives Apple’s product a big advantage over CurrentC, as backed by Walmart, Target and others, which entrusts merchants not just with consumers’ credit card details, but their bank details as well. And as with the rise of invisible payments in point 4, GPS and consumer behavior data, combined with “selfies”, raise the question of whether the degree of authentication now undertaken is necessary at all. Even though we didn’t see Apple Pay coming, we got this background point right. This we got wrong. See below. Mondato Insight, like all industry publications, has spilled a lot of ink on Apple Pay this year, so we will set it to one side and look at the other big trends that have emerged over the course of the past 12 months. To say that Bitcoin had a tumultuous year would be something of an understatement. From soaring highs on exchanges (despite the closure of the dubious online marketplace Silk Road) to the Mt. Gox scandal and a crashing price, the vulnerabilities of the crypto-currency have been laid bare. Nonetheless, there appears to be a growing realization that the potential for Bitcoin to be something truly transformative lies in the block chain that is the basis of the protocol. There are potential regulatory clouds on the horizon for Bitcoin, but whether it’s Bitcoin, bitcoin, block chain or Ethereum, crytocurrencies cemented their place in the landscape in 2014. It has for years been a staple of speculation and analysis of mobile payments that “social” was going to be one of the keys to achieving scale. We are not there yet, but 2014 saw some pretty hefty stakes put into the ground on this front. The rise of Venmo, already a verb in its own right among millenials showed how capturing a social media vibe within a mobile payments app could reap dividends. Then we saw Facebook pay an eye-watering US$19 billion for OTT Messaging app Whatsapp. Not to be outdone, but perhaps with a much better bargain, Asian online retail giant Rakuten snapped up Whatsapp rival, the voice and message app Viber. And while the rest of the industry pondered the implications, teen-favorite SnapChat burst onto the scene (literally, if their promo video is to believed) with SnapCash, powered by Square. Twitter is also reported to be investigating payment functionality within its system. The victor is as yet unknown, but the battle lines for the social/mobile payment war are already being drawn. Finally, one of the most significant trends to have emerged over 2014 was the increasing blurring of identities among big players in tech and payments. While the one big move in the other direction is the separation of PayPal and eBay, in many other areas, the distinctions between banks and MNOs; tech and payment companies; online and offline retail; retail, social and payments (see above) continue to blur. The emergence of the connected consumer means that no-one can afford to confine themselves if they want to offer an omni-channel retail experience, or leverage other aspects of consumers’ digital identities for cross-promotion and upselling. The question remains, though, will these moves by big players shut out innovation (as has been seen in mobile money markets where everyone wants to own the ecosystem), or are they enough of a play to use size and muscle to achieve scale where it may not have otherwise been possible? Only time will tell; but it is definitely going to make for a very interesting 2015. Don’t miss your Mondato Insight on December 31st, to find out what some special guests think 2015 is going to shape up to look like. ©Mondato 2014. Mondato is a boutique management consultancy specializing in strategic, commercial and operational support for the Mobile Finance and Commerce (MFC) industry. With an unparalleled team of dedicated MFC professionals and a global network of industry contacts, Mondato has the depth of experience to provide high-impact, hands-on support for clients across the MFC ecosystem, including service providers, banks, telcos, technology firms, merchants and investors. Our weekly newsletters are the go-to source of news and analysis in the MFC industry. (Image courtesy of Kate Ter Harr under a CC-BY 2.0.) Year added to image. 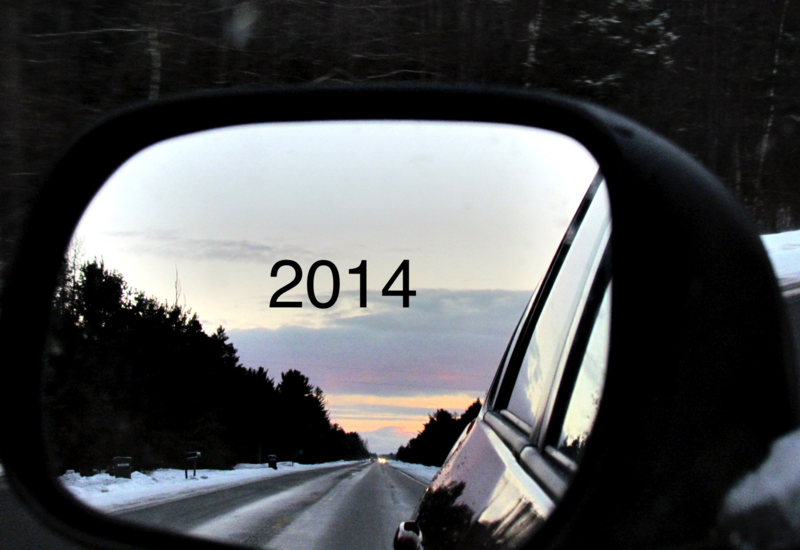 What Lies in Store in 2015? Holidays 2014: Good News for Apps, Bad News for Apple?